These adorable favour boxes provide a stylish way to give your wedding guests a small token of appreciation. 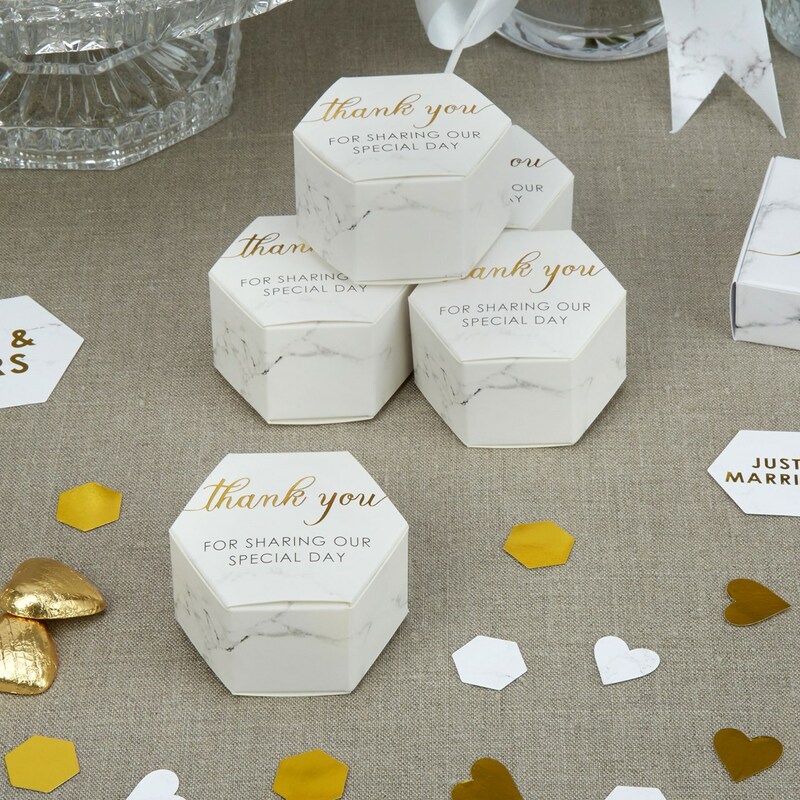 These hexagonal boxes can be used to hold small chocolates, sweets or sugared almonds. The marbled design in white with a grey vein is complemented with smart gold lettering. Each pack contains 10 Favour Boxes, size: 35mm (H), lid 65x55mm.